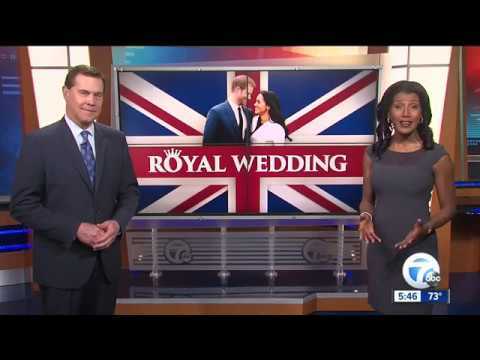 Royal Wedding: First Dance Surprise? Several dancers from Oakland County are among those who will be competing this week in the Michigan Dance Challenge — the state’s biggest ballroom competition. The Fred Astaire Dance Studio in Bloomfield Hills sent 24 of its students to compete in this year’s Challenge, being held through Saturday at the Henry Ford in Dearborn. The Studio, which held rehearsals for their dancers on Monday and Tuesday this week, is participating in the Dance Challenge for the very first time this year. “We are thrilled to be bringing such a huge cadre of dancers to the Michigan Dance Challenge,” said Evan Mountain, who owns the Fred Astaire Dance Studio with his wife Lada. 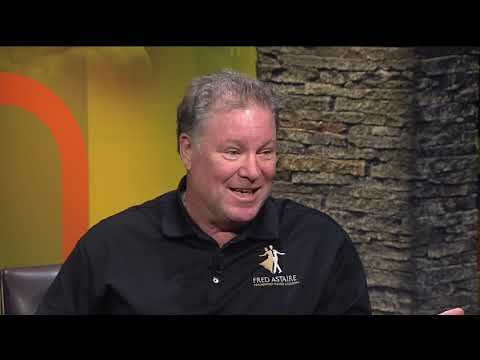 The event is part of the Global DanceSport Series, and is known to be once of the largest ballroom competitions in the Midwest, according to event organizer Mark Brock. Participants will be asked to showcase multiple dance styles, including the Waltz, Fox Trot, Tango, Viennese Waltz, Cha Cha, Rumba, East Coast Swing, Bolero and Mambo. 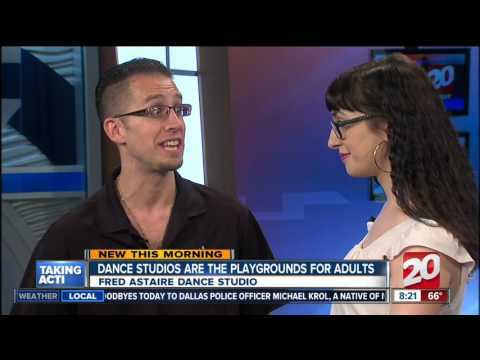 The Fred Astaire Dance Studio is the largest ballroom dance studio in the state. Find more photos from this week’s rehearsal in our Media Center. There will be 24 students from the Fred Astaire Dance Studio in Bloomfield Hills competing in the annual Michigan Dance Challenge — the state’s biggest ballroom competition — through Saturday at The Henry in Dearborn. Franchising is another option. There are many types of franchise opportunities available across many industries. We mostly think of restaurants and other retails outlets, but not necessarily ballroom dancing for franchise opportunities. When one thinks of ballroom dancing, I’m sure there are many things that come to mind, including classic movies, recent network TV shows and Oscar-nominated movies, all of which have fueled recent growth. It’s also another form of social interaction and exercise to many. FADS is a franchise of 170 ballroom dance studios around the world and the Mountains’ Bloomfield Hills location is ranked No. 1 based on revenue among all franchisees worldwide. Revenue for the studio at the end of 2016 was $1.45 million, a 52 percent growth from 2015. The iconic brand is flourishing, which raises an interesting question regarding a more mature brand, “How does Mountain keep it fresh?” In his 11th year as the owner of Fred Astaire Dance Studio Bloomfield, Evan Mountain has learned training and having an excellent team of employees is a key to achieving and exceeding business goals. I recently talked to Mountain about remaining relevant and fresh, the benefits of being a franchisee and becoming the No. 1 FADS franchisee in the world. READ THE WHOLE STORY HERE. 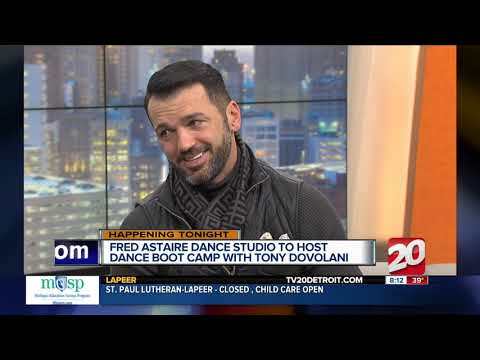 Fred Astaire Holiday Dance Party on Fox News 2 Detroit! Every year around this time, people brace themselves for the season of social dancing, with holiday parties and this year, an Inaugural Ball on the horizon. For some, dancing in social settings is no big deal. They’ll comfortably take their place on the dance floor when the music plays. However, many others may slink away from the parquet, clinging to their cocktail with the hope that no one will ask them to fox trot, waltz or tango and discover their dance floor unease. 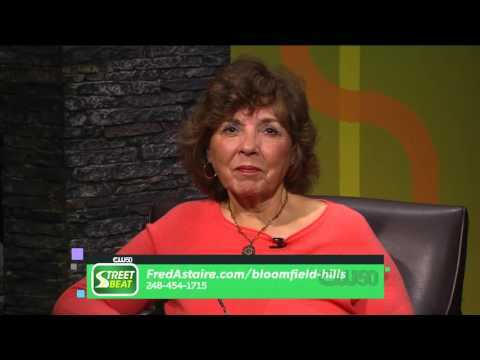 Fred Astaire Dance Studio of Bloomfield Hills is the largest ballroom dance studio in the state of Michigan. Opened in 2005 by Evan and Lada Mountain, the studio is part of a nationwide franchise that requires daily training for its teachers, who are dedicated to teaching dance full-time. The studio averages about 150 private dance lessons every week, plus eight group lessons and several weekly parties and events. Practice makes progress, Mountain insists. “Offering a strong lead frame allows your partner to feel safe and comfortable. This is a simple skill, but it’s the most important one to nail down in practice. No one wants to be pushed or pulled across the floor, so taking time to learn easy techniques help people develop a fluid flow of connection,” Mountain says. Dance is like any interactive activity: communication is key, and partnerships become stronger over time. · It’s important for both men and women to express themselves when they want to dance with someone. Taking initiative and possessing an aura of self-confidence allows you to enjoy yourself more in social situations – on the dance floor and off. If you don’t feel confident, fake it until you make it! · Social dancing has no set choreography. It is about making a connection with another person through rhythm. Focus on that and you’ll feel fine on the dance floor. · In order to have an enjoyable experience, you have to have trust in yourself and your partner. Being considerate and showing respect goes a long way on the dance floor – and off! · Always thank your partner for the dance at the end, smile and make eye contact. · Don’t aim for perfection; shoot for fun. That way, you’re more likely to be satisfied with the outcome. Evan Mountain has held a variety of jobs in his life, including a time as a food distributor. They were good, useful and productive positions — but he always had an idea for doing something closer to his heart. About 10 years ago, Mountain let go of his doubts and decided it was time to follow his passion. He had always secretly loved dancing but didn’t want to be judged by his peers by admitting so when he was younger. He knew it was time to get back out there and dance. When he married Lada, a professional dance instructor and performer originally from the former Soviet Union, the pair knew their destinies were intertwined, personally and professionally. They purchased a Fred Astaire Dance Studio franchise, one of about 165 franchises in the United States. Now, their Bloomfield Hills, Mich. location is booming. Ten years after opening this studio, the Mountains have realized that they are selling more than dance. They are selling companionship, community and happiness as well as good health and peace of mind. “People don’t walk into the studio saying they want to compete or perform, but they see the happiness it brings them, they make friends, find community, and suddenly they are bursting with a desire to take dance in uncharted directions. That’s how I feel about my business,” he says. Over the years, Mountain rose to acclaim among his FADS peers as a marketing guru; other studio owners often seek his counsel. That’s for good reason. When Mountain did business projections at the end of 2015 for his studio, he hoped for a 20 percent increase in business this year, basing his projections on 10 successful years in business. So he was incredibly surprised to realize that year-to-date, FADS is up 49 percent over 2015 numbers with no indication of slowing down. With a goal of opening a second studio in the first quarter of 2017, Mountain is thrilled at the robust results he’s seeing. “We always plan for good business results, knowing that ballroom dance is a growing industry, but this is beyond our dreams,” says Mountain. The pair are in pursuit of a facility to purchase or lease for the second studio, and on the lookout for talented instructors to hire and train in the Fred Astaire method to make a second studio as successful as the first. Mountain credits much of his studio’s success to strategic staff selection and training. Plus, he and his wife have become better managers, learning from their mistakes, learning how to manage time better, too. FADS partners with a variety of nonprofits, offering dance classes for people with autism, people with disabilities, cancer survivors and others. The studio’s mission is to enrich lives by building confidence, connection and community through ballroom dance. Private lessons, group lessons and dance parties are open to the public, featuring students ranging in age from teens to retirees and seniors. When Patty Levison’s husband died in April 2014, the grief was overwhelming. “It felt like we were always soul mates,” said Levison, an interior and landscape designer from Bloomfield Hills. The two had met when Robert Levison was 44, dated for 22 years, were married for 22 years; he died on his 88th birthday. “Toward the end, he said, ‘It’s time for us to say good-bye. How do we say good-bye?’ … And I said, ‘We say good-bye with a kiss.’ A couple days later, he passed away.”…Read More. BLOOMFIELD HILLS — The Fred Astaire Dance Studio in Bloomfield Hills, the only Michigan franchise, received seven awards from the national franchise for enrollment and 2014. Fred Astaire Dance Studio of Bloomfield Hills is the largest ballroom dance studio in the state of Michigan. Opened in 2005 by the Mountains, the studio is part of a nationwide franchise that requires daily training for its teachers, who teach dance full-time. 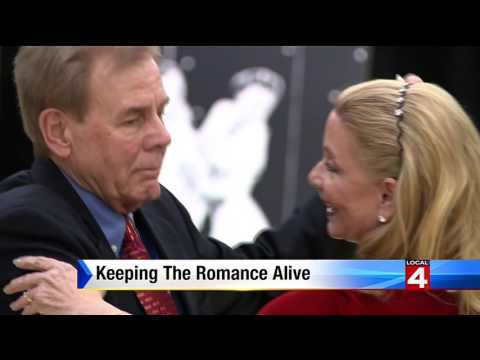 Dance tips with 7 Action News This Morning and Fred Astaire Dance Studio, Bloomfield Hills, Michigan – Dancing can be a great way for couples to get closer, but taking the dance floor can be a little intimidating…Read More and Watch the Video! For news features on our Dance Mobility Program, click here.